This is an all-hands-on-deck moment. Tell us what you can do to help win back Net Neutrality. How can you help pass the Save the Internet act and win back Net Neutrality? Meet with my rep's office. Get in touch with other activists about Net Neutrality. Other/not sure/any way I can! Democrats in Congress have introduced the Save the Internet Act, which would restore the FCC’s strong Net Neutrality rules — and ensure the agency doesn’t mess with them ever again. But — surprise surprise — big ISPs are already trying to stop this bill in its tracks. That's where you come in: This is an all-hands-on-deck moment and we need Net Neutrality Heroes (like you!) to join forces to win back Net Neutrality and pass the Save the Internet Act. Together we’re more powerful than AT&T, Comcast and Verizon combined. 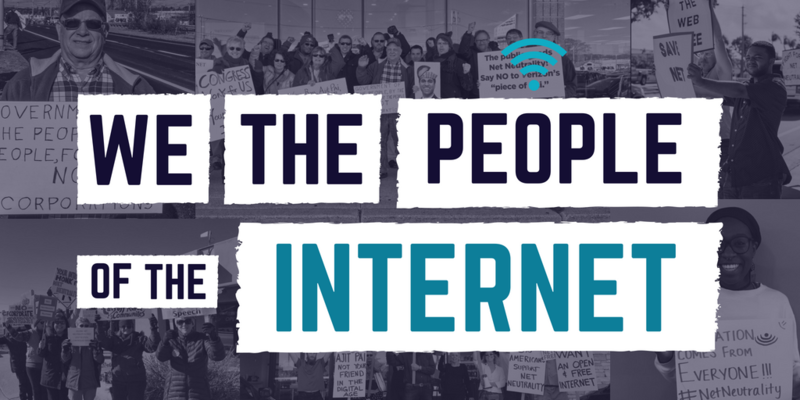 Sign up today to tell us what you can do to help save Net Neutrality and pass the Save the Internet Act.